Koolewong Cressida is an excellent example of the caliber of the progeny produced by Kydras Acres Mercury. 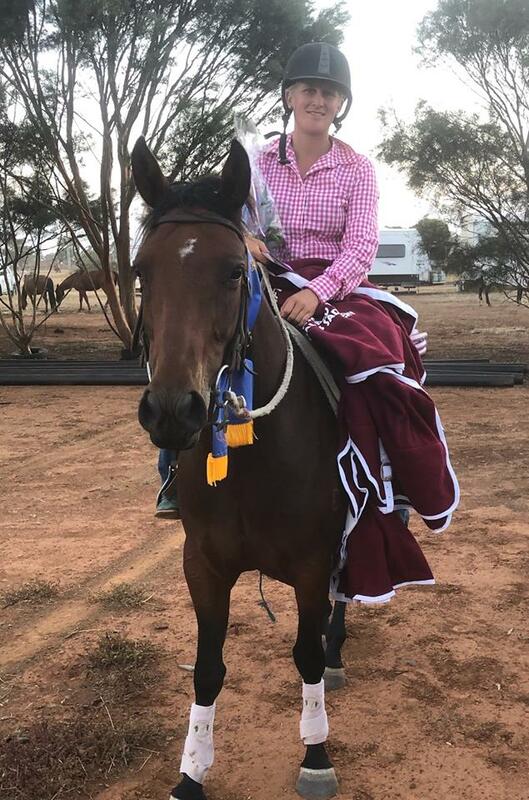 This talented mare has had a string of successes with Paige Nancarrow including a Maiden win, a 3rd in the Strathalbyn Open, a 4th in the Novice at Macarthur and on Friday a win in the Ladies at Baccus Marsh with scores of 90 & 88. Koolewong Cressida & Paige Nancarrow.